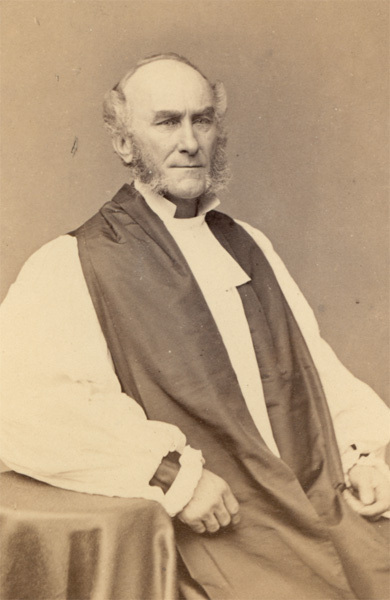 The Christian Ministry, Its Constitution and Its Duties: The Sermon, Preached in Trinity Church, Muscatine, Iowa, on December 15, 1864, at the Consecration of the Rev. Thomas Hubbard Vail. Davenport, Iowa: Luse, Lane & Co., 1865. The Comprehensive Church, or, Christian Unity and Ecclesiastical Union. The Christian College, a True Agent in and for Christ's Kingdom: The Sermon Preached at the Consecration of the Chapel of Griswold College, Davenport, Iowa, on Friday, December 30, 1864. Davenport, Iowa: Luse and Griggs, 1865. The Holy Spirit: His Sanctifying Graces, and His Official or Functional Gifts. A Charge, in Whitsun-week, June 7, 1876. Topeka, Kan., George W. Martin, Kansas Publishing House, 1876. Primary Doctrines: Being Charges on Christian Baptism, the Lord's Supper, and on the Holy Spirit. New York: Thomas Whittaker, 1891.